Benefit Concert for the Peninsula Youth Orchestra – Continental plates shift and grind creating great earthquakes that can destroy beyond imagination. Climate fronts of hot and cold air collide and can generate massive tornados that rip across the plains and give the great mother nature a facelift. 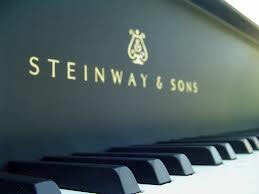 And so 12 notes colored black white on a piano over and over again can evoke such tension and release. 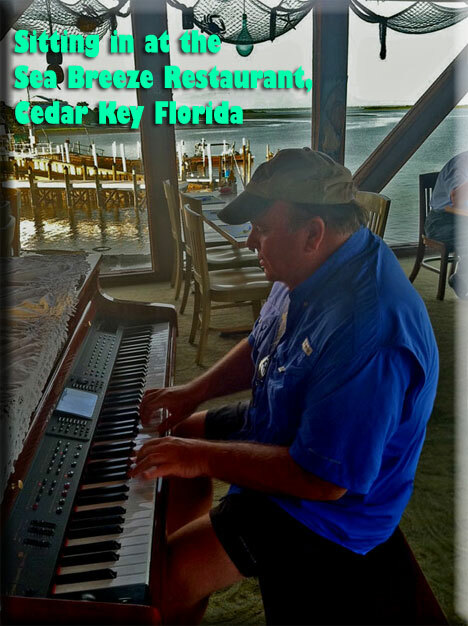 With Jim’s fast and furious right hand glancing across the keys of his piano grace and beauty roll off the soundboard and into the air. From the power of his left hand it almost feels as if he can on his own construct massive mountain ranges. 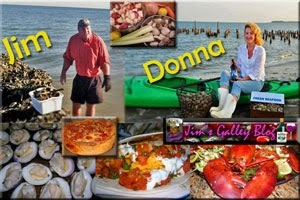 Truly a seasoned talent in conjunction with his passion Jim creates where others merely observe. You will find yourself wishing to take flight like a hawk in its prime, so that you can soar high into the air where you can savor the notes longer and truly realize that vastness on display. 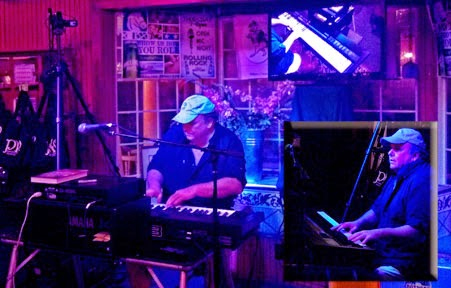 A specific treat is his original composition entitled “KE”, while a dedication to Keith Emerson Jim seems to also excel in channeling the greats into his own playing. Even if you are not a fan of Jazz or Progressive Rock I would highly recommend taking an opportunity to watch this talent on display. For even those that like a catchy tune on the radio will appreciate the true artistry on display here. The Peninsula Youth Orchestra Benefit concert “MUSIC LIVES” featuring Jim Baugh on Piano is finished post production and can be viewed in High Definition on You Tube. 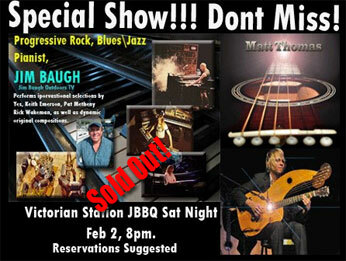 Below is the finished program filmed in Hampton Virginia at the acoustic concert venue Victorian Station. Below are a few selected tracks from the show, we will be updating this more in the future. “Music Lives” Benefit concert for the Peninsula Youth Orchestra Saturday Jan. 24th 2015 Victorian Station Hampton Virginia. 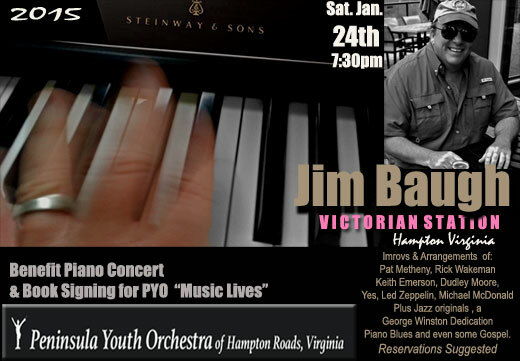 Join Jim for his first 2015 solo piano concert and book signing held at the “Big Pink” Victorian Station in Phoebus Virginia. Doors open at 6:30 pm show starts at 7:30. Proceeds go to help support PYO. Reservations suggested. ***NEW AUDIO SAMPLES FOUND AT BOTTOM OF PAGE. 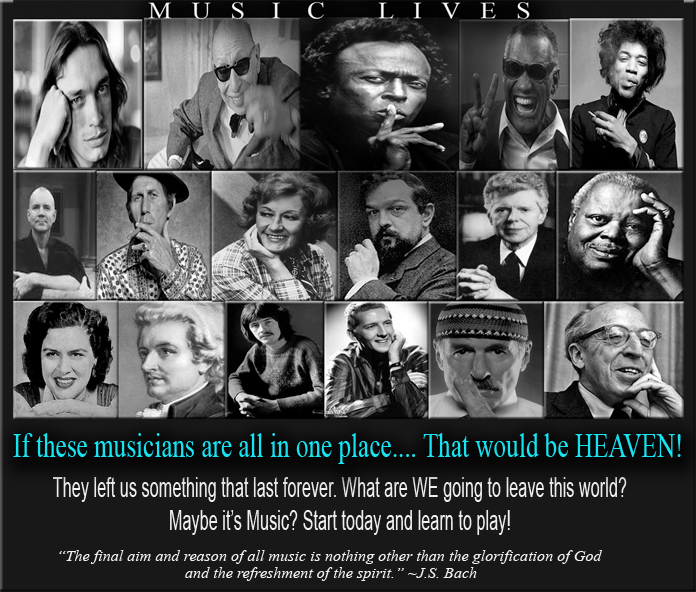 Much of Jim Baugh’s early music career was chronicled in his best selling autobiography “HOOKED”. 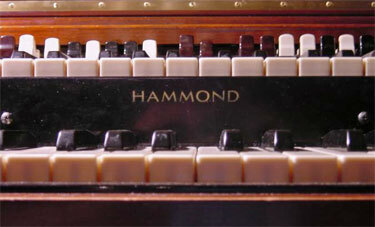 Studying music at Hammond Organ Studios he quickly became a fan of classical, jazz and blues at an early age. 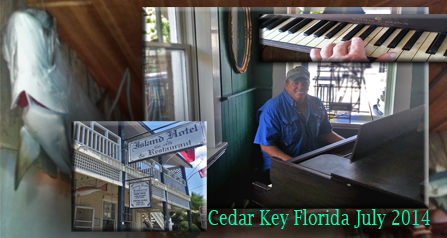 Never having had piano instruction, he adapted his skills early using the chordal structure he learned from studying organ. This gave him an early precursor to playing charts with ease. 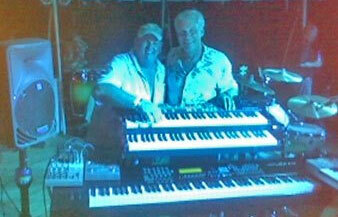 Jim was heavily influenced by Oscar Peterson, Keith Emerson, Lyle Mays, and George Winston (Windam Hill artist). Eventually he would program assist for the Windam Hill show on the Soft 96 Radio station. 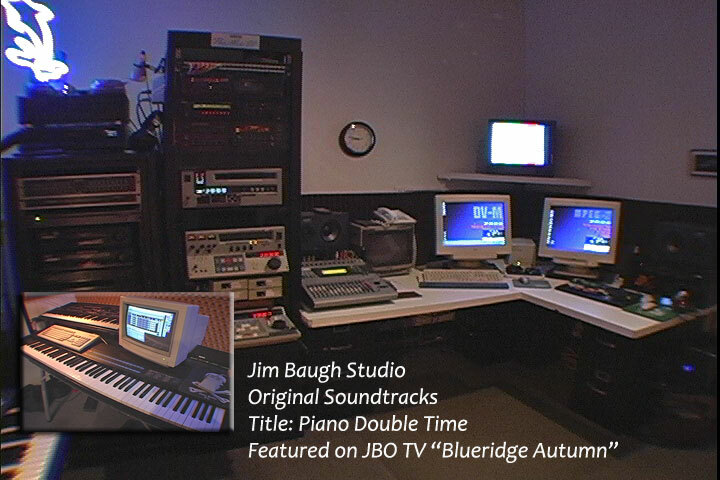 Jim Baugh studied music at Virginia Commonwealth University and received a Bachelor of Music degree in applied synthesizer and a minor in piano. 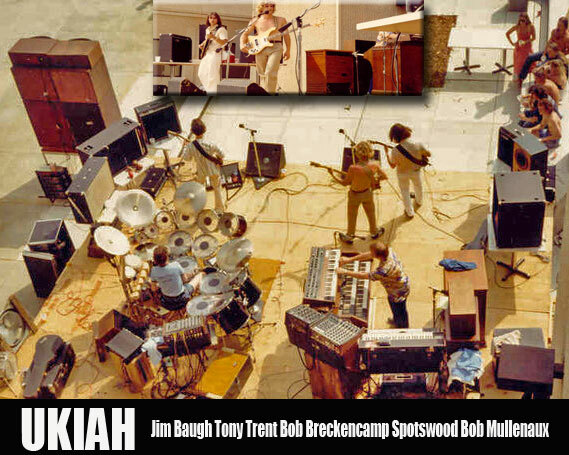 During this time he was co founder of the all-original progressive rock group UKIAH and played mostly to the college circuit around Virginia. Jim’s rig included a customized Hammond C3 with 147 Leslie and Reverb cabinet, Elka electric piano, Farfisa Organ, Prophet 5 synth, and Moog Taurus Pedals. Producer of Jim Baugh Outdoors TV, Jim wrote performed and engineered all the music for the national show. He also sold his soundtracks to other production companies. The large MIDI studio he designed gave him the orchestral range he needed to write and perform 48 tracks of music giving his television productions a large advantage over other outdoor programs. One of Jim Baugh’s favorite musicians and inspiration is one of the founders of the progressive rock era, Bill Bruford (Yes, Genesis, King Crimson, Earthworks, UK). 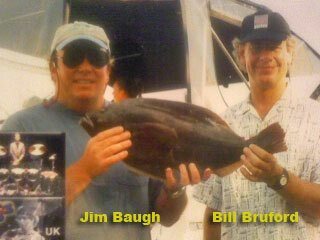 Bill came on Jim Baugh Outdoors TV as a guest and spent a considerable amount of time with Jim. 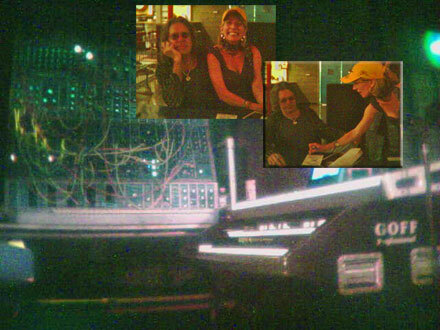 When Bill was listening to some of Jim’s music during the filming, he referred to Jim as a “Keith Emerson Clone”. The shoot was written about in “HOOKED” and Bill Bruford enjoyed his appearance on the show so much, he wrote about it in his autobiography as well. An honor indeed. Jim still writes soundtracks for his television productions and also performs solo progressive rock \ jazz solo piano concerts. Hangin out with Marc Bonilla and Keith Emerson after their DC show. My friend Angelique tried to convince Keith they needed a new logo. Too funny! RIP A. Glass. 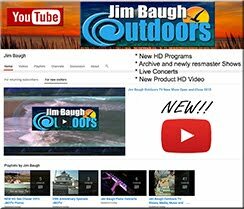 Original soundtracks from Jim Baugh Outdoors TV. Styles, Progressive Rock, Jazz, Blues. A real fun jam featuring my Hammond C3 patch. There is also some cool synth and electric piano leads. This has been featured in many JBO TV episodes and is still used in production for our 2014 series and beyond.